After decades of turmoil a new phase is opening up for Afghanistan, in which a new generation comes to the fore as many of the key players from earlier phases, including foreign interventionist powers, leave the scene. Although this new phase offers new possibilities and increased hope for Afghanistan’s future, the huge problems created in earlier phases remain. 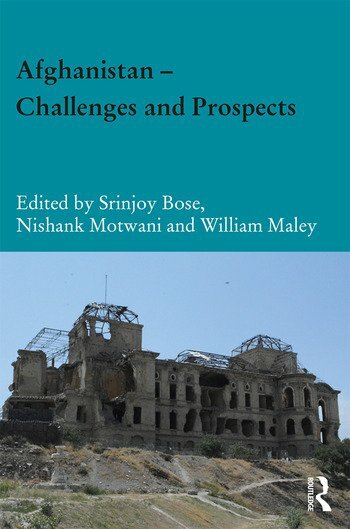 This book presents a comprehensive overall assessment of the current state of politics and society in Afghanistan, outlining the difficulties and discussing the future possibilities. Many of the contributors are Afghans or Afghan insiders, who are able to put forward a much richer view of the situation than outside foreign observers. Srinjoy Bose is a Senior Teaching Fellow in the School of Government and International Affairs at Durham University, UK. Nishank Motwani is a Visiting Fellow in the Asia-Pacific College of Diplomacy at The Australian National University. William Maley is Professor of Diplomacy, Asia-Pacific College of Diplomacy at The Australian National University.